Wow! This one looks and feels brand-new! Located just minutes from Downtown Orlando and close to it all, sits this 3 bed/2 bath home offering luxurious upgrades and functional flow. As you step up onto the COVERED FRONT PORCH, which is perfect for enjoying the outdoor air, you enter the home and are met by a GRAND FOYER, which is where you will notice the gorgeous WOOD FLOORING that runs throughout, neutral tones, and contemporary fixtures. The foyer leads you into the living area, which is the real hub of this floorplan. Here you will find a well equipped kitchen that includes newer STAINLESS APPLIANCES, plenty of CUSTOM CABINETS (with over and under cabinet lighting) and gorgeous GRANITE COUNTERS with full length breakfast bar. It all looks out to the dining area and open living room which provides plenty of space for a full sectional and opens perfectly to the 3rd bedroom which has double glass FRENCH DOORS and makes the space feel even bigger. The master bedroom provides dual closets for extra wardrobe storage and the luxurious ensuite has been totally updated with designer vanity and gorgeous oversized, GLASSED SHOWER with modern glass accent tile and DUAL shower heads. The attached 1-car garage gives you extra storage space and washer/dryer hookups. Off the living room is access to the FENCED-IN BACK YARD where you will find a very large patio space for lounging, MATURE LANDSCAPING with multiple garden boxes, utility shed, and plenty of grassed space to be enjoyed by all. Lot Size: 0.16 Acres / 6793 Sq. Ft. Directions:From E Colonial head south on Hampton Ave. Turn right on Stanley St and property will be on your left. SchoolsClick map icons below to view information for schools near 1916 Stanley Street Orlando, FL 32803. MFRMLS data last updated at April 19, 2019 12:00:22 PM PST. Home for sale at 1916 Stanley Street Orlando, FL 32803. 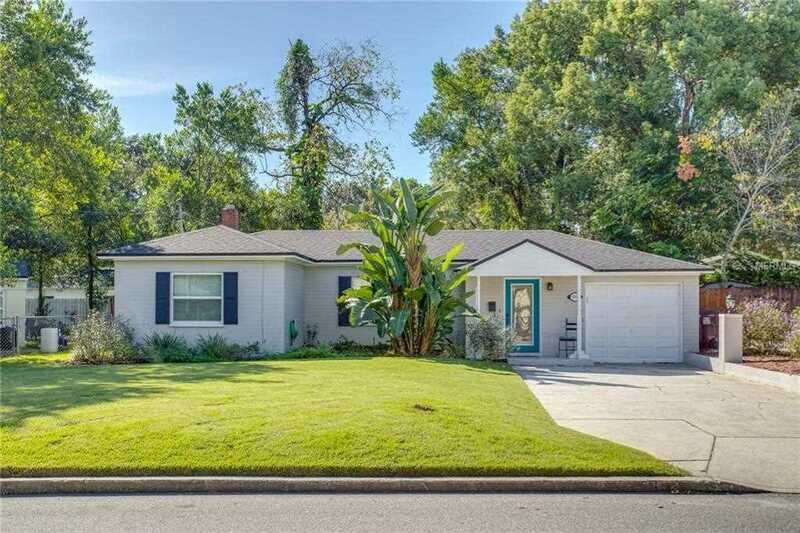 Description: The home at 1916 Stanley Street Orlando, FL 32803 with the MLS Number O5742496 is currently listed at $325,000 and has been on the Orlando market for 168 days. You are viewing the MLS property details of the home for sale at 1916 Stanley Street Orlando, FL 32803, which is located in the Fern Court Sub subdivision, includes 3 bedrooms and 2 bathrooms, and has approximately 1237 sq.ft. of living area.